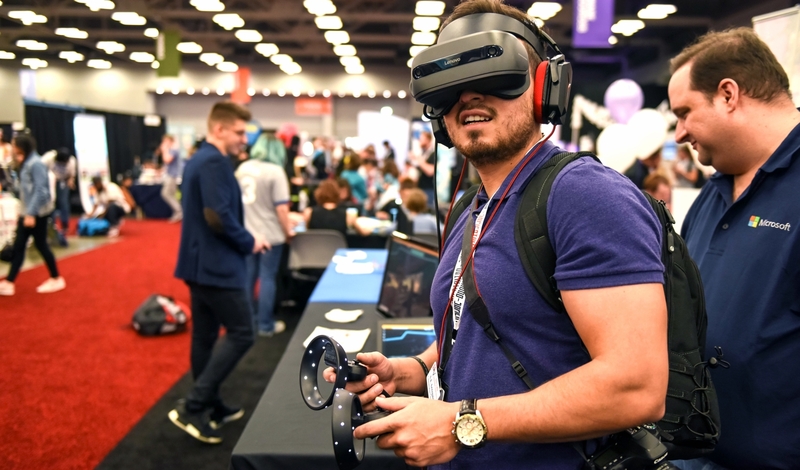 The SXSW EDU Expo is a dynamic space that captures the energy and imagination of learning. Purchase your space in the 2019 Expo by Friday, September 14 to save 20% on the price of your expo booth. Hosting an exhibit in the expo provides your organization with visibility and exposure. The expo is an excellent platform for showcasing your work, connecting with new and existing customers, obtaining product feedback, and discovering what is happening in the industry. Coffee Breaks & Happy Hours – Mid-morning coffee breaks and afternoon happy hours encourage attendees to frequent the expo throughout the day to refresh, recharge, and stay connected. Meet Up Pavilion – Meet ups will be programmed throughout the show to provide focused and casual connections fueled by topics. Next Stage – The Next Stage showcases short-form presentations around leading issues and topics in education and innovation, from the latest in edtech to market trends and developments throughout the learning lifecycle. Playground – The Playground is an interactive space within the Expo that showcases new strategies to activate students’ learning and features a collaborative stage with Hands On and Talk programming. This Friday, September 14, is the last day to reserve your booth in the SXSW EDU Expo at the lowest rate of the season. Fill out the form below to get more information about exhibiting in the show as well as other engagement opportunities at the 2019 event. SXSW EDU 2018 Expo photo by Alejandro Mendoza.